Social Media is a communication tool, and its actually a word to describe a multitude of communication tools. 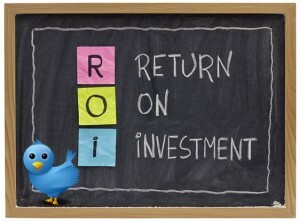 So to discover the Return on Investment on Social Media, you have to look at each tool independently. Not only that, you have to take a look at how you are using that tool. Even replacing the word Social Media with the word Facebook does not make it into a question easily answered, as it depends on what you are doing with that communication tool (Facebook) and what you are trying to achieve. We measure this through our inhouse developed lead tracking system Hatch. Then we also analyze the audience who is consuming the content. We use that information to check if that matches the potential leads we are getting and better suit the content to the audience that we want to get or is consuming it already. For other great answers on the question: “How would you measure the ROI in social media?”, check out answers to this question on Quora. I don’t love math, but I love analytics. Your tool, Hatch, sounds like a slam dunk. Depending on your business, social media can make it or break it. And if your competition is active across different media platforms, it’s a must for you. Ah, the classic question of ROI. Definitely agree with you on the fact that you need to know context, and each situation may be different. Not only the situation and the company but each network offers different value that needs to be captured and measured differently. Great tips and advice Marieke! Thanks for the insight. Social Media is growing and everyone “knows” they need to use it, but often don’t know how and what the benefits will be. Breaking it down and the tracking tool you mention certainly will be a great tool for businesses who want to know the results of their investment in this aspect of marketing.